Throughout any given week, I speak to upwards of 2 dozen potential new clients. The topics and their needs are always different of course, but when it comes to learning solutions, I’m always excited by the endless possibilities that exist. It’s an opportunity for us as consultants to guide our clients and stakeholders to destinations that they may not have considered – everything from 3D and VR, to customised graphics and animations, or even the inclusion of gamified elements eLearning. Though gaming and education can initially seem like oil and water, this relationship is starting to improve, especially in recent years. There are always times during these calls and meetings where a client will invariably ask “Gamification? You mean, like Tetris?” (or Mario Bros., or Street Fighter, even Frogger; and yes, I know I’m dating myself with these examples). Many dismissed (and still do!) 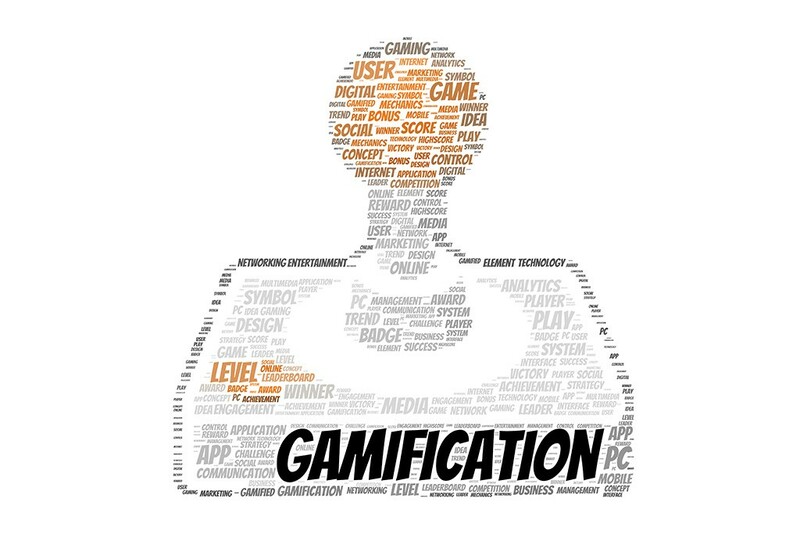 gamification initially, writing it off as a fad or a buzz word in the eLearning industry. Yet, it has come to represent a huge chunk of the changing eLearning strategy. 80% of learners claimed learning would be more productive if it were more game-oriented. On a worldwide scale, revenues for game-based learning were around $2.6 billion in 2016. By 2021, those numbers are predicted to touch $7.3 billion. What do game mechanics do? Game mechanics are what bring fun into a game and are the conduit for learning. They drive the brain of the learner to work with a heightened sense of urgency; the result of which is increased activation when approaching the learning outcome and a higher level of knowledge retention. The key is to offer a mixture of intrinsic and extrinsic motivators in order to reach as many learning styles and personalities as possible. Some learners thrive on internal rewards, while others are very motivated by external rewards. While intrinsic rewards lead to a more comprehensive, lasting level of knowledge attainment, extrinsic rewards are still valuable. As we’ve covered in a previous post, gamification isn’t necessarily the right move for every organisation’s learning programme. A deep analysis of your training goals and the needs of the business shed some light on this. Gamifying just for the sake of making the course more engaging and fun is never cost-effective. The task of any organisation is to increase the productive potential of your resources in a way that’s always aligned with your business objectives. At Clarity International, we’ve worked with clients to breathe a new life into all forms of subject matter. If your objective is to boost enrolment and higher engagement and results from your eLearning programs, gamification is a great option, especially if the program is mandatory. The format of the game mechanics is dependent on the content that you need to work with. Generally speaking though, there are two standard approaches that you can take: structural or content. Structural gamification involves applying game elements to move the learner through the material with no changes or alterations to the content itself. The focus of is to get the learner motivated to and keep them engaged by offering rewards but doesn’t change the content. An example of this is points for completing a task such as watching an instructional video or completing an assignment in which the video or assignment had no other elements of a game other than the offering of points. In the case of content gamification, the content itself is altered to make it more game-like. It still doesn’t turn the content into a game but rather adds games or activities to the content. The focus is to increase user engagement by attaching interactive elements. An example of content gamification is starting a course with a fun challenge to grab the learners’ attention as opposed to starting right off with a list of learning objectives. Another example is to add story elements as part of the content. Whether your training program utilises structural gamification or content gamification, the results are positive in terms of engaging employees in activities that will aid them in performing their jobs to a high standard. Corporations train their employees so that they will be an asset to their business, and there’s no denying that the use of gamification in elearning, content or structural, achieves that goal. We are at a turning point: gamification is huge among millennials and increasingly so among an older demographic. For those who still claim that “work isn’t there to be enjoyed”, the simple truth is that it has been shown to increase in employee happiness, and productivity in turn. With that in mind, who’s up for some MarioKart! You can find out how we’ve been using gamification techniques in the digital learning sphere by checking out some of the work we’ve done with Amdocs, NHS and BT in our case studies.